At the height of the comeback of pinball machines in the arcade gaming scene, comes an upgraded pinball game made out of cardboard, the “PinBox 3000.” What’s unique and interesting about this pinball machine is that the game can be built in just an hour. All you need is a do-it-yourself (DIY) kit and your wit to assemble the pieces! “PinBox 3000” is the first tabletop pinball system made out of recycled cardboard. 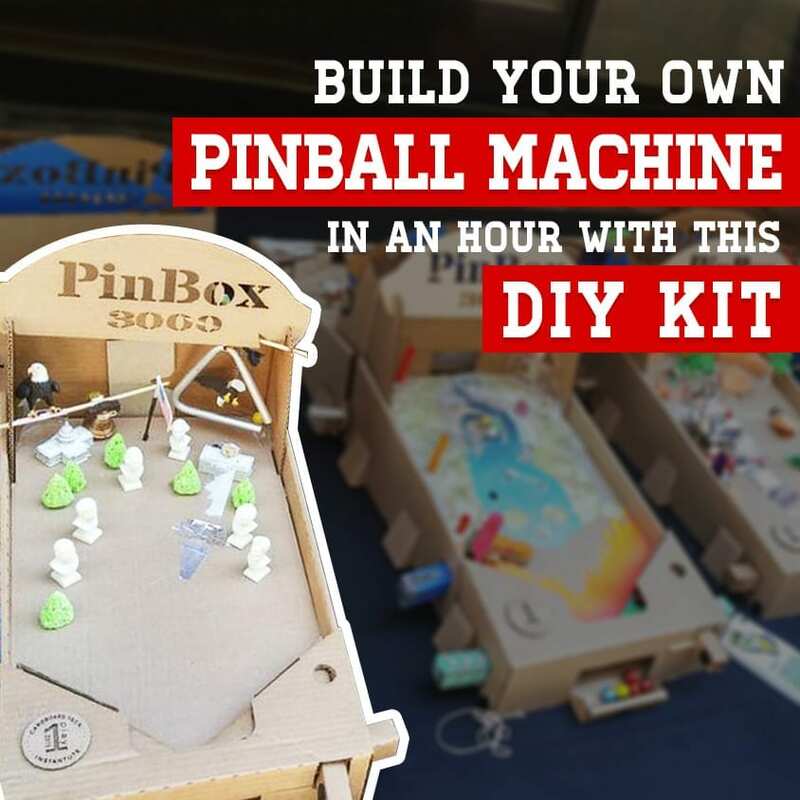 It ships as a blank cardboard slate which, according to its website, allows you “to create whatever the pinballer inside you can dream up and do.” Each kit consists of 12 die cut slides containing several recyclable parts and two interchangeable play boards. These boards can be modified with printable templates or with your own artwork. The game doesn’t require any special tool or batteries and it doesn’t have to be plugged in to operate. What’s more, if you think one-player game is boring, attach two together and challenge a friend in battle mode. Watch the real-time assembly video below to guide you through the construction of the game system. Did you find this article helpful? Find more interesting information about Pinball machines by visiting our blog.